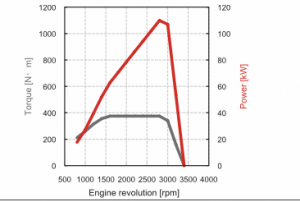 Engine: 4JJ1-TC – Isuzu turbo intercooled DOHC 4 cylinder diesel with DPD & SCR. 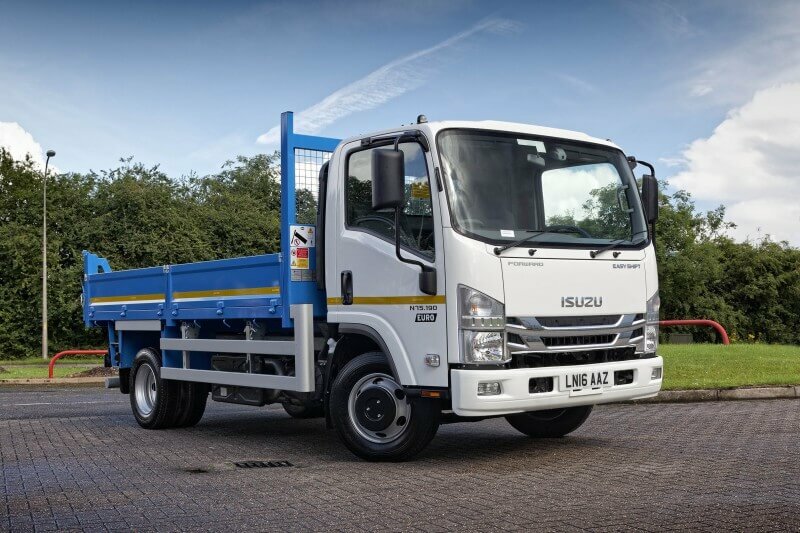 Isuzu electro hydraulic controlled 6 speed synchromesh MZZ6F with fully automated and sequential shift modes. Fluid hydrokinetic coupling with lock-up clutch. 2.12V, 540CCA, 70Ah batteries (24V) with 90A alternator. Wheels: 6.00J x 17.5, 6-stud. Spare: 1 x wheel and tyre. Parallel ladder type channel section straight side rails, rivet less upper flange. Front: Parabolic alloy steel springs with hydraulic shock absorbers and anti roll bar. Rear: Semi-elliptical alloy springs with hydraulic shock absorbers and anti roll bar. System: Vacuum servo assisted hydraulic dual line with ABS, EBD (Electric brake distribution) EVCS (Electronic vehicle stability control), ASR (Anti slip regulation). Exhaust brake. Park: Mechanical drum brake rear or transmission. Manual tilt to 45 deg. Driver and outer passenger retractable diagonal seat belts with pre-tensioner. Jack with small selection of hand tools. Central Locking: Central locking with remote keyless entry and immobiliser. Lane departure warning system: Camera monitor, alerts driver with a warning buzzer and LCD monitor. All chassis cabs come with a 3 year unlimited mileage warranty and roadside assistance as standard. 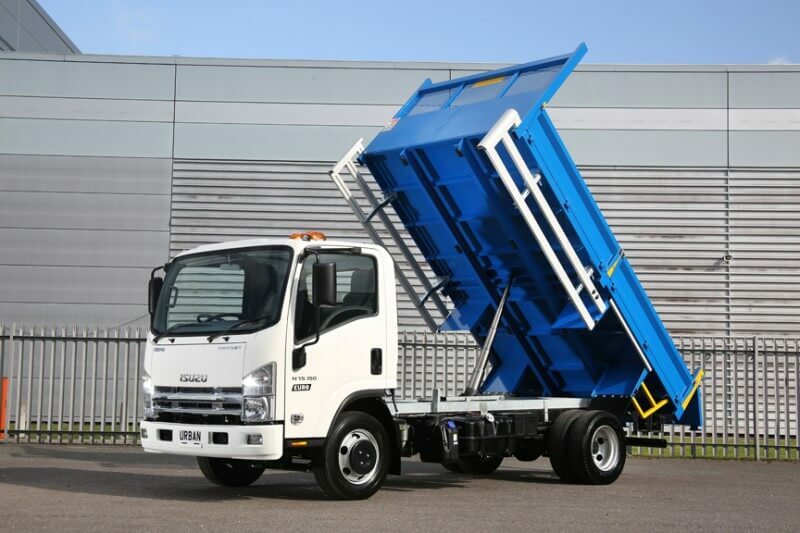 Tipper bodies come with the bodybuilder’s three year, 100,000 mile warranty. Terms and conditions apply.